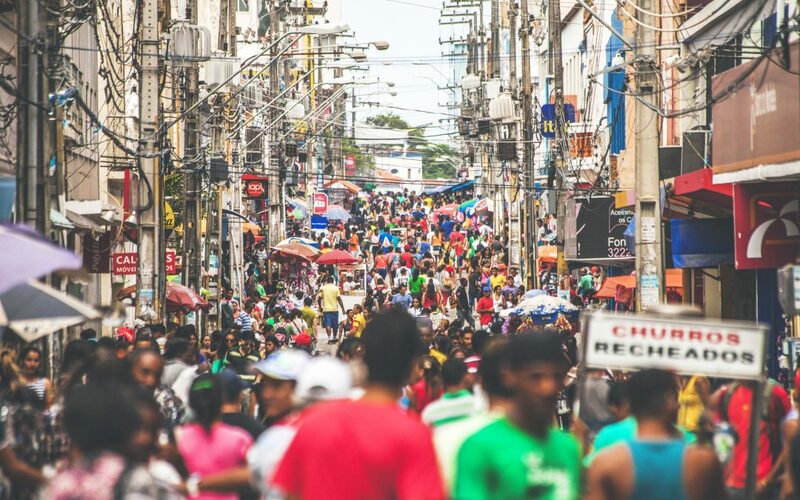 Brazil as the latest example shows: right-wing populism remains on the rise, unleashing the brute force of predator capitalism under authoritarian regimes. The temporary vision of promoting social welfare states as a form of good governance has been replaced by new ideologies bordering to a revival of Social Darwinism. White supremacists, populists and nationalists (re-)enter political commanding heights, basing their rule on exclusion and racism. Those concerned about inequality and all forms of discrimination, advocating the rights of the marginalised and disadvantaged, are ridiculed, harassed and increasingly victims of direct, structural and cultural violence. Their struggles for human rights, justice and dignity face an uphill battle. Political repression is mounting. The unsustainable exploitation of the world’s limited resources as integral part of a growth paradigm is once again accelerated. 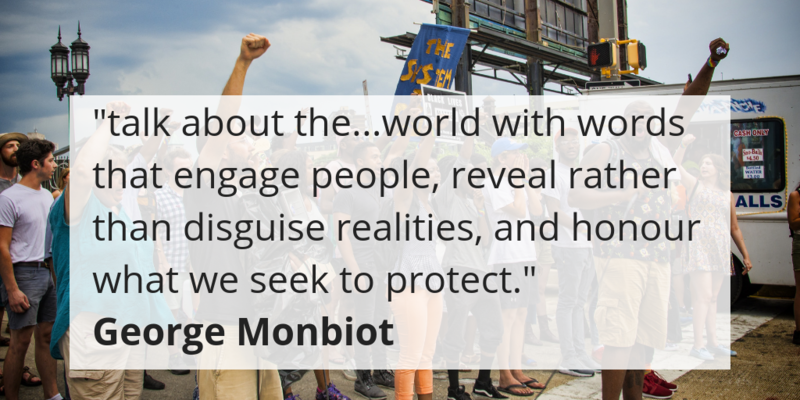 Something of enormous global significance is happening almost without notice. For the first time since agriculture-based civilisation began 10,000 years ago, the majority of humankind is no longer poor or vulnerable to falling into poverty. By our calculations, as of this month, just over 50 percent of the world’s population, or some 3.8 billion people, live in households with enough discretionary expenditure to be considered “middle class” or “rich.” About the same number of people are living in households that are poor or vulnerable to poverty. So September 2018 marks a global tipping point. After this, for the first time ever, the poor and vulnerable will no longer be a majority in the world. Barring some unfortunate global economic setback, this marks the start of a new era of a middle-class majority. What’s clear from this is that we have to ask ourselves what a development policy based on redistribution in favour of the working classes in the global South might look like – because that, ultimately, is the key to ending poverty in an unequal world. almost entirely caused by us — humans. In fact, 99 percent of currently threatened species are at risk from human activities, primarily those driving habitat loss, introduction of exotic species, and global warming. Because the rate of change in our biosphere is increasing, and because every species’ extinction potentially leads to the extinction of others bound to that species in a complex ecological web, numbers of extinctions are likely to snowball in the coming decades as ecosystems unravel. For those obsessed with economic growth this is merely a matter of “collateral damage” of the Anthropocene. But at the not too remote end of such chain are those exterminated whose modes of production and reproduction are the root cause. – Is this “development”? 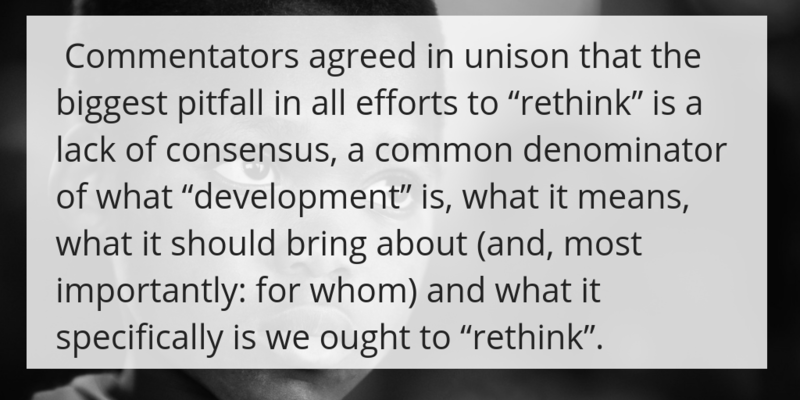 A recent blog post, written in immediate frustration about the repetitious and largely futile efforts of “re-thinking development” and fuelled by the experience of yet another event with this title, provoked many reactions among the development studies and development economics community. 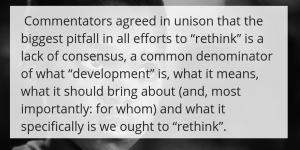 Commentators agreed in unison that the biggest pitfall in all efforts to “rethink” is a lack of consensus, a common denominator of what “development” is, what it means, what it should bring about (and, most importantly: for whom) and what it specifically is we ought to “rethink”. Starting a recent seminar on development theory by asking students for their definition, resulted in over 30 different understandings and much puzzlement. It, therefore, is of little surprise that Gustavo Esteva as early as 1992 in the Development Dictionary had already “termed development an amoeba-like concept, devoid of any meaning in itself”. For Wolfgang Sachs, editor of this pioneering volume, “the idea of development stands like a ruin in the intellectual landscape”. These references document that already a quarter of a century ago a damning diagnosis existed. In (self-)critical efforts within the community of scholars in Development Studies since then such awareness is repeatedly reiterated. But the soul-searching reflections were hardly replaced by another framework transcending the developmental paradigm. Deconstruction was not followed by reconstruction. Pablo Yanguas recently re-visited “Development and the Messy Politics of Change”. He suggests in conclusion: “Development is not a series of fixes to be measured but of battles to be fought.” But battles for what? Is prayer-wheel-like repetition of the term useful and how are periodic pledges to re-think/re-position/re-make it of any help? The notion of “development” has survived and perpetually resurfaces in discourses as a kind of magic bullet. The “amoeba” continues to be (ab)used for rather different if not antagonistic discourses, the commonality of all of them being the widely uncontested assumption that “development” is inherently good; it just has to be practiced more just, more participatory, more bottom-up. Of lately, the colonial-apologetic advocates of empire and white supremacy have with new vigour reactivated the claim that not all was bad about colonialism and referred to the “developmental” aspect through health, education, material infrastructure, even undertaking a balance sheet for “ethics and empire”. Critics are dismissed as radical ideologues being in denial of the “development” colonialism had as an inherent and integral part of the expansion of Europe into the rest of the world as a kind of “civilising mission”. Slave trade, genocides, dispossessions, and other destructive effects of “How Europe Underdeveloped Africa”, for that matter, feature in such perspectives as another infamous collateral damage. Development by any other name? But why should we engage with such exchanges as regards the meaning of “development”? Do our efforts to dismantle and deconstruct ideological, inherently racist hierarchies of asymmetric power relations and its various forms of exploitation take place in the appropriate arenas for the “battles to be fought” (Yanguas)? Should we not rather abandon the notion and look at development as suggested by Yanguas in the sub-title of his book as a mere description of change? This would strip the term “development” of the positive association, which largely comes along in the efforts of those seeking to legitimize the current world order. Or, could we, by eliminating “development” from our value-loaded vocabulary altogether, avoid transporting a message, which at least indirectly re-confirms a rather useless description appropriated by the interests of those most vocal? Among the definitions put forward by the students in the above mentioned seminar were peace, dignity, equality, justice, sustainability and eventually this is what we (should) mean when we talk of development. 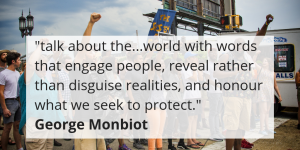 Rather than dumping all our “battles to be fought” and our contestations to be made into one ambiguous amoeba container let us not shy away from, as George Monbiot recently forcefully argued: name it “with words that engage people, reveal rather than disguise realities, and honour what we seek to protect” – and fight for. Naming what we mean enables us better to dissect social, political, economic and environmental dimensions of global inequalities and analyse origins of disparities, power imbalances and their continuations. Abandoning “development” cannot mean to replace one amoeba with another, such as recently suggested with “transformation”, especially when institutions and structures remain untransformed. Gaining increasingly prominence in the context of the SDGs, “transformation” is targeted towards the future. But how can we seriously plan for the future if we fail to confront the past and present? What does it practically mean? As Arturo Escobar has put forward, it acknowledges that the crises we face are foremost of a particular “set of world-making practices […] that we usually refer to as the dominant form of Euro-modernity (capitalist, rationalist, liberal, secular, patriarchal, white, or what have you).” And it requires the pursuance of precisely termed goals to transcend borders not only geographically, but also mentally and beyond narrow disciplinary confinements, while paying respect and giving recognition to diversity and otherness. Henning Melber is Extraordinary Professor at the University of Pretoria and the University of the Free State in Bloemfontein, Senior Research Fellow with the Institute for Commonwealth Studies/Centre for Advanced Study at the University of London and President of the European Association of Development Research and Training Institutes (EADI). Julia Schöneberg is Research Fellow at the International Center for Development and Decent Work (ICDD) and the Department of Development and Postcolonial Studies at the University of Kassel, Germany. She is also Visiting Researcher at ISS in The Hague and the Executive Assistant of the EADI.